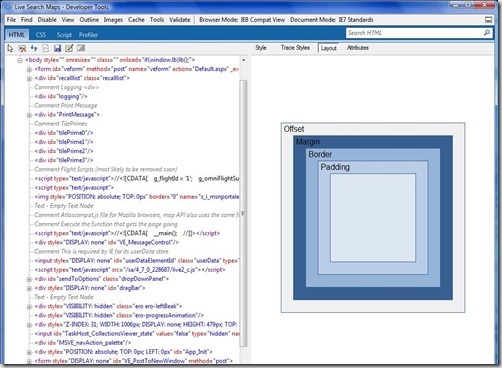 IE 8 Beta 2 provided the decent features to the designers and developers community. 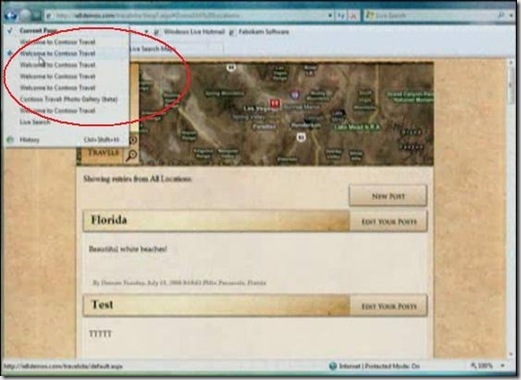 If you write the code for IE 8 Beta 2 that can run on anywhere. It means it is allowing developers and designers to develop applications with Interoperability and web standards. Ajax navigation and enhancements supported. 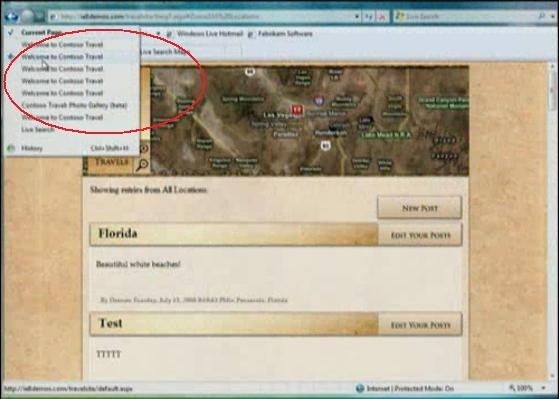 Enables the in place navigation when you are browsing maps for a particular location you may use the zoom option in the maps. Each and every zoom action will be stored in the travel history which is highlighted in oval. 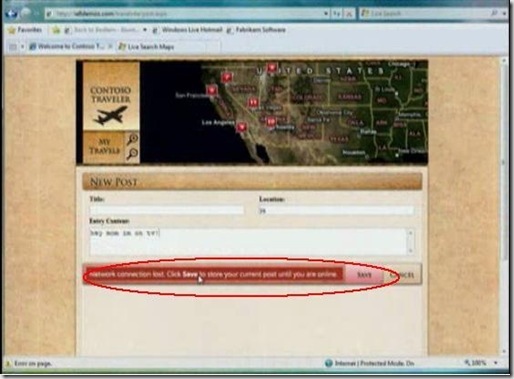 When you are writing BLOG post or checking an e-mail a t airport if suddenly connections drops then it prompts you to save the typed data on offline. Prompt is highlighted in the oval. It also allows you cross domain communication and messaging using HTML standards. 3. 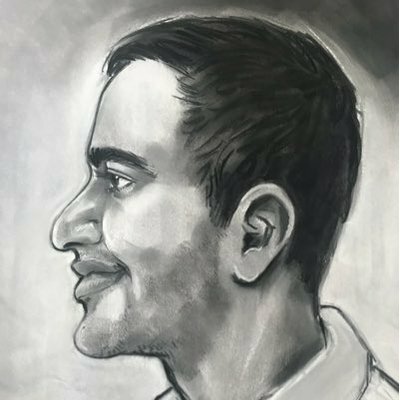 More Server Connections for better performance. currently allowing 6 earlier it is 2. 4. Document mode Compatibility– No need to write any code for to render the content which is developed in earlier versions of the Internet Explorer. 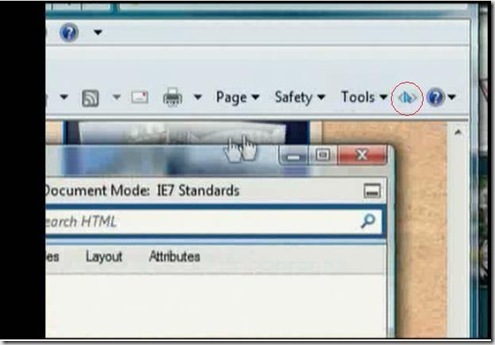 By placing a simple meta tag instructs the IE 8 to render the earlier browser versions content in right format. 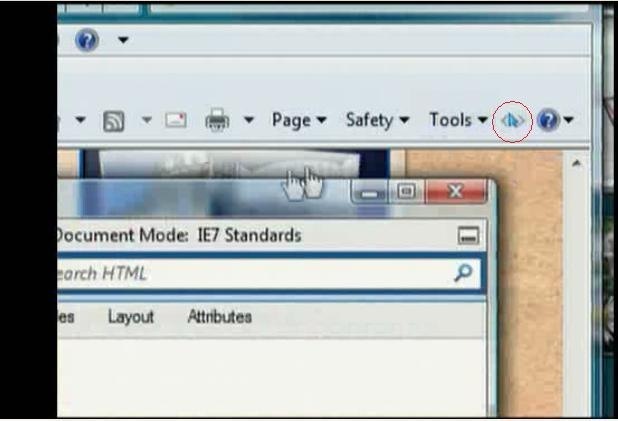 So IE8 providing full document compatibility mode. If at all the content not rendered properly in IE8 beta it suggest through compatibility button in address bar to best view version. 5. 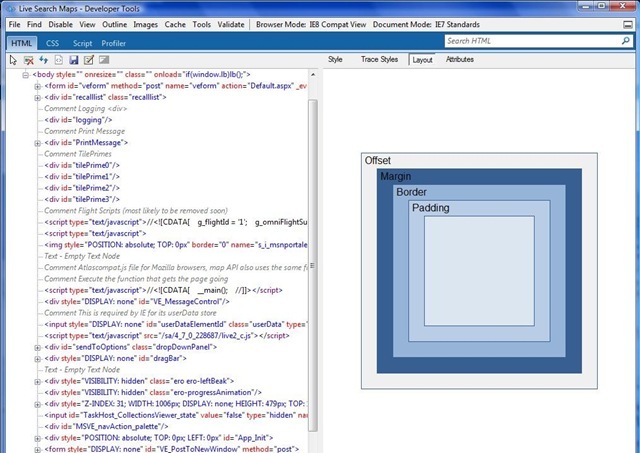 IE Developer tools– allows the developer to debug the java script and in place HTML and CSS changes. (Shift + F12 ) is the keyboard short cut for opening the debugger tool. You can view the page in different IE versions using the above tool. we can call this feature as site preview. 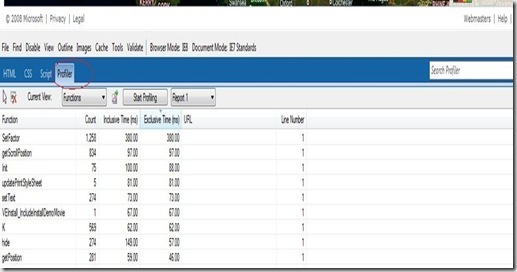 we can check application performance and bottle necks using above built in profiler. 6. Extending the service integration through web slices and Accelerators. Implementing the web slices and Accelerators is easy. 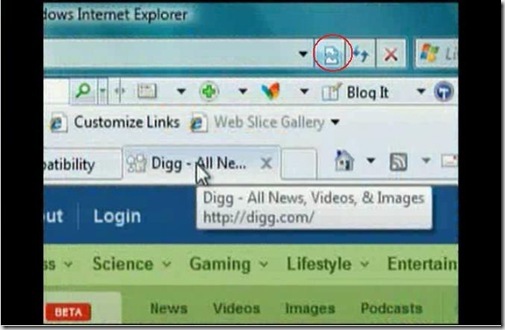 You can download the Internet explorer 8 beta 2 for exploring the features.